Part of the fun of snapdragons is that you can snap/pinch the flowers just about in the middle and the “dragon’s” mouth will open and shut. An old time favourite with a new twist, Tried & True Trailing Snapdragon Fruit Salad™ Series sport long lasting blooms along trailing stems. Small, dark green leaves are an exceptional backdrop to the wide variety of colours available in this Tried & True line. 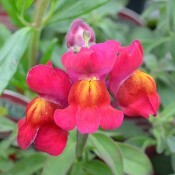 These fine textured snapdragons offer a profusion of blooms all summer long. The flower of the Cranberry is a vibrant deep pink with yellow throat. 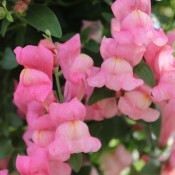 Their unique trailing habit is ideally suited for hanging baskets, window boxes, and other containers. Heat tolerant. 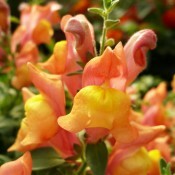 These fine textured snapdragons offer a profusion of salmon pink blooms all summer long. Their unique trailing habit is ideally suited for hanging baskets, window boxes, and other containers. Heat tolerant. 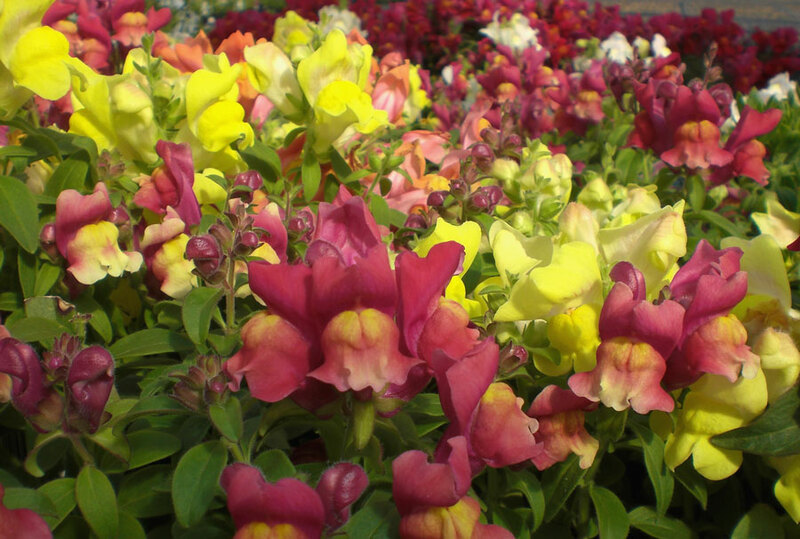 These fine textured snapdragons offer a profusion of blooms all summer long. The flowers of Mango are bronzy orange and yellow blooms with pink throats. Their unique trailing habit is ideally suited for hanging baskets, window boxes, and other containers. Heat tolerant. 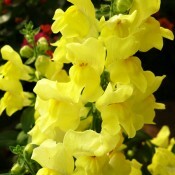 These fine textured snapdragons offer a profusion of exquisite lemon yellow blooms all summer long. Their unique trailing habit is ideally suited for hanging baskets, window boxes, and other containers. Heat tolerant.